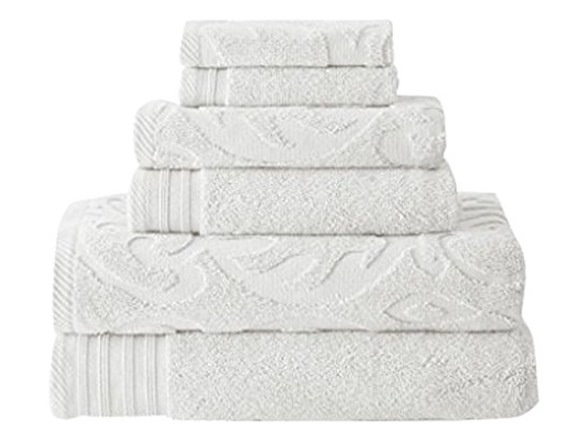 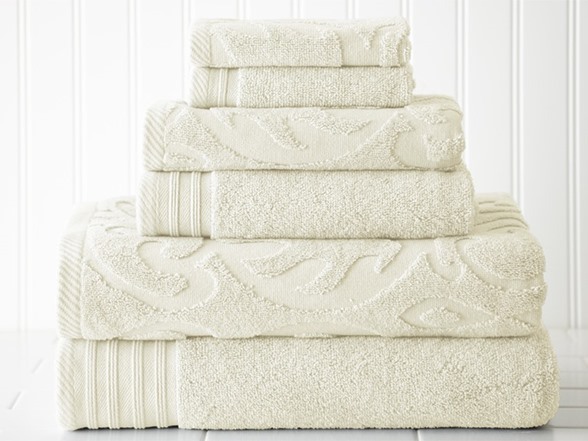 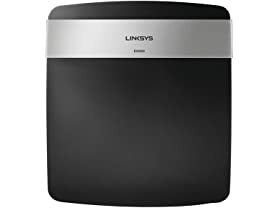 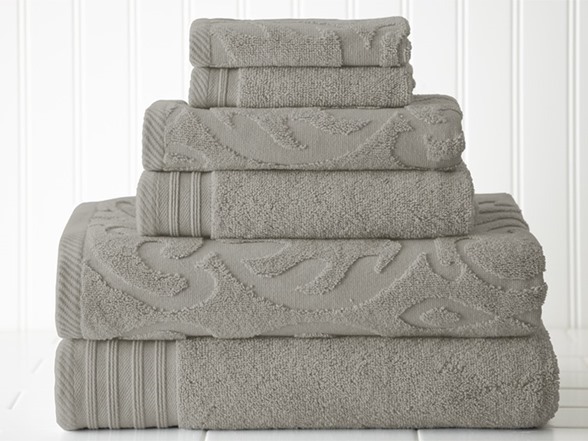 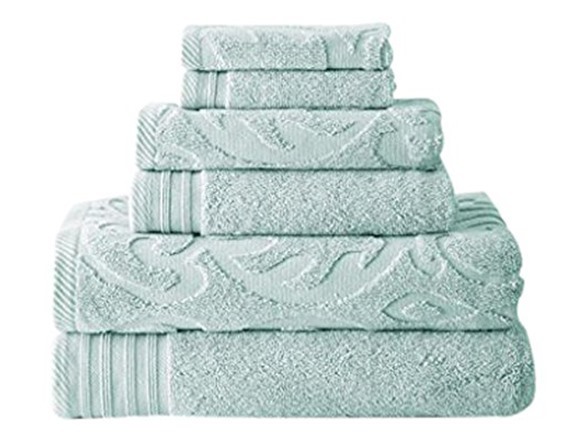 This luxurious towel set transforms any bathroom in your home into a hotel-inspired bathroom, with it's plush feel and chic styling. The coordinating sets include one jacquard and one solid piece of each size to add depth and design. 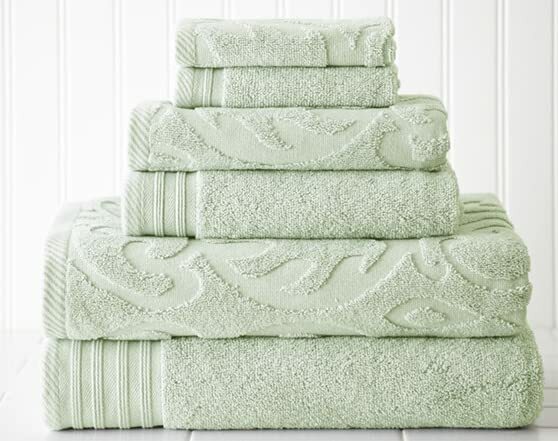 Hand Towel 16" x 26"